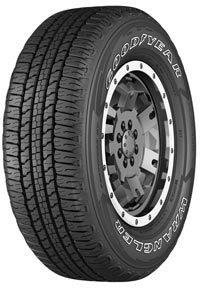 Had my 2015 F150 XLT crew cab just over 1 year, and have 25,500 miles on these OEM Goodyear Fortitude HT, and I must say that I'm very impressed. Quiet, comfortable, and very good grip in all weather conditions here in Wisconsin. To top it all off is that they're wearing well, and I should have no issue getting 60,000 miles from them. I'd buy them again.